Both my daughters teach dance, and lately my younger daughter has been facing some discipline challenges with one of her chattier classes. She recently decided to try out a sticker chart to allow each dancer the opportunity to individually make appropriate behavior choices and to then eventually earn a reward for those accumulated good decisions. Our divine Teacher is well beyond sticker charts, but He does present Himself to us as our Very Great Reward. He Himself is the reward, and out of Himself, He also gives us rewards. He rewards those who keep his decrees (Psalm 19:9-11). 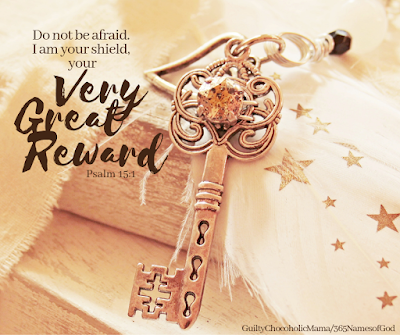 He rewards our work (2 Chronicles 15:7). He rewards wisdom (Proverbs 9:12). He rewards confidence in Him (Hebrews 10:35). God's Word tells us He rewards in a variety of ways, including with children, vindication, righteousness, good things...and with the grandest prize of all: "Rejoice in that day and leap for joy, because great is your reward in heaven" (Luke 6:23). That, surely, is something to dance about. As soon as I added this name of God to my master list, I knew which story I wanted to use to illustrate it. This is not my story; it belongs to one of my precious Bible study sisters, and I'm sharing it here with her permission and blessing. Her name is Tricia, but her beloved grandfather always pronounced her name so that it sounded more like "Thrhesha." She never understood why, thinking maybe it had something to do with his hearing...or the fact that he seldom wore his false teeth. A few years ago, Tricia was doing a Bible study on the Patriarchs and came across the story of Abram, whose name was changed to Abraham. She learned that the Hebrew letter "he" (transliterated into English as "ha") was added to Abram's name to change it to Abraham. 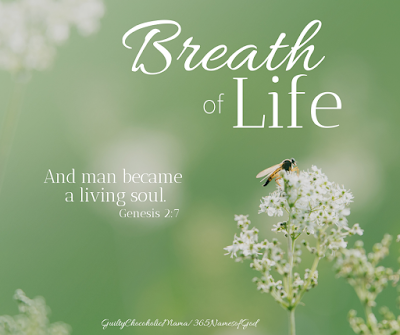 The Hebrew "he" is a breathing-out sound, so in essence, the Breath of Life breathed Himself into Abram to transform him into Abraham. Tricia then came to a question in the study that asked what her name would be if God breathed into it as He had into Abram. When Tricia wrote it out, she read, "T-R-I-H-E-C-I-A." And when she spoke it out loud, she heard once again her name as her grandfather had pronounced it all those years ago...sweet confirmation that God had indeed breathed His life into her. 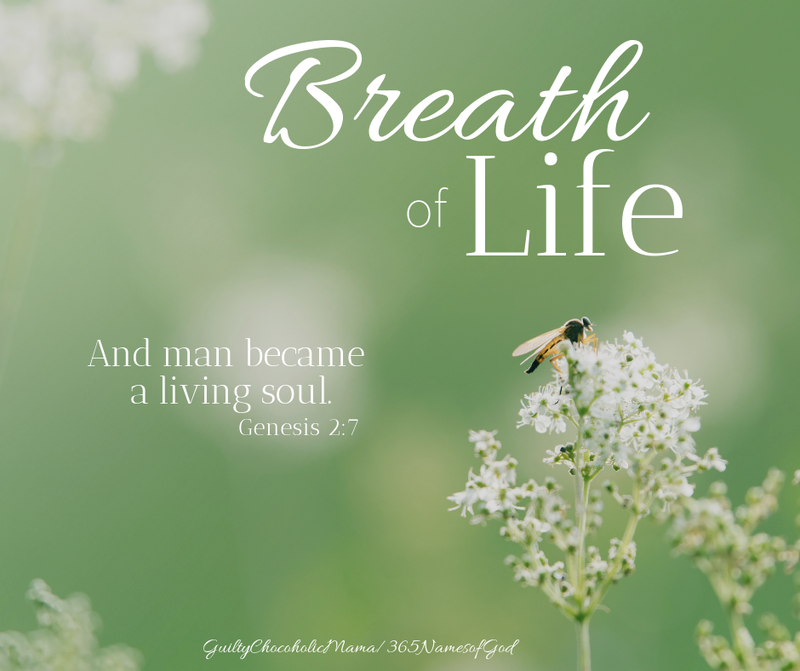 Dear friends, the Breath of Life has breathed Himself into you, too. As you're inhaling and exhaling today, let the significance of that fill you up. You are not an accident. You are not a fluke. You are the on-purpose, for-a-purpose creation of God Most High. And when you breathe in the Spirit of God through faith, you, like Abram-turned-Abraham, will never be the same again. To know God as our Deliverer is to know Him as Savior and Rescuer and Protector. He sees our peril, reaches down, plucks us out of harm's way, and sets us in safety. But when I was thinking about this name of God, my mind also went down a little side road, to my paternal grandfather. My dad's dad was a mail carrier for more than 30 years, beginning after he served in the Navy during World War II and ending when he retired from the United States Postal Service, to much acclaim and affection. My grandpa made his deliveries faithfully, with an understanding that the letters and packages he was delivering had value to those who had sent them and to those who would be receiving them. He took care of his parcels, because he understood their worth and importance. He was a good and faithful public servant. God our Deliverer knows our worth and importance and value better than anyone. He is the One who sends us to this earth to live the mortal lives He wills for us, and it is back to Himself He want us to return, via the way of faith, to live the eternal heavenly lives He wills for us. And so He takes care of us. He is mindful of us. He handles us gently. He protects us. He sends us to the world for a little while and then delivers us back to Himself forever. And when we arrive in His heavenly presence, we can aspire to no greater accolade than to hear Him say, "Well done, good and faithful servant." "My Deliverer is coming, my Deliverer is standing by. My Deliverer is coming, my Deliverer is standing by. He will never break His promise though the stars should break faith with the sky. 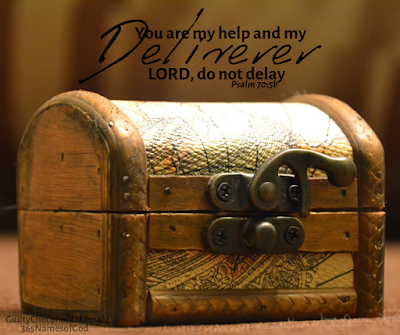 My Deliverer is coming, my Deliverer is standing by." Hovering. I love this captivating word. It makes me think of waiting...not placidly or apathetically, but like a restrained force on the verge of exploding. Which leads me to a related word that's easily one of the Top 5 Words I Ever Learned In Women's Bible study: dunamis. Dunamis is a Greek word meaning power or ability, and if it reminds you of the word "dynamite," you're exactly on the right track. It carries the idea of contained energy, of something holding back before being released. Some mornings, I pray, "Holy Spirit, explode your dunamis power over and in my family." I like to think of my husband and daughters, at work or at school, suddenly feeling a little jolt of God's power surging through them. 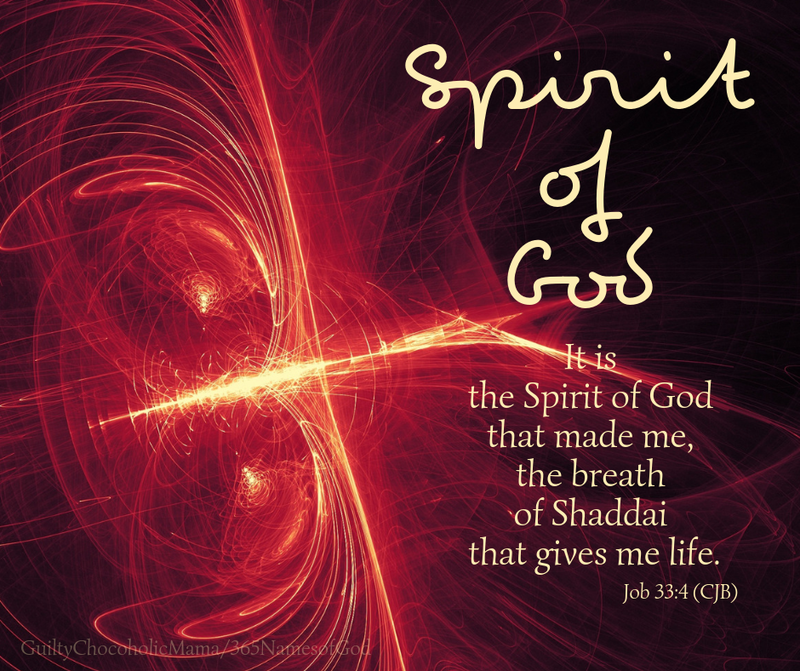 Sweet NOG friends, the Spirit of God is hovering over and in you, ready to unleash His dunamis power on your behalf. Ask Him to do it, then wait in hopeful expectation of what He'll do with you, in you, and for you. When He does, I believe you'll think the same thing Genesis 1:31 in The Message Bible paraphrase tells us God thought when He stood back and surveyed His six days of creative handiwork, His hovering Spirit having exploded its energy (but not used it up...NEVER used up): "it was so good, so very good." The word "beginning" carries so much hope and anticipation with it. 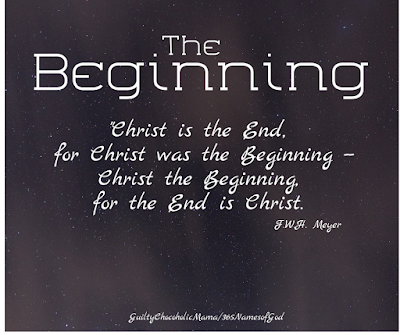 God the Son describes Himself as "the Beginning" in today's focal verse, but we also meet God the Father on the pages of Scripture literally "in the beginning" (Genesis 1:1). There, He's poised to do the work of creation...a task He's undertaking for the simple (and yet profound, in a mind-stretching kind of way) reason that He wants to. He creates because He is creative, but He does not need to create. He wants to create, but not because anything about Him or His existence is lacking. The One with Whom everything good has its start and end creates just for His pleasure. He wants to create us because He wants us. My Bible study sisters and I were talking about beginnings last week...specifically about beginning something without "inquiring of the Lord" first (see Joshua 9:14). I've done this in the past—launched into something without asking God His opinion on the matter—and it's never turned out very well. If you're at the starting line of some new journey, maybe you'll want to learn from my mistakes and "inquire of the Lord" first. Is this something He wants you to begin? Is He in it? Ask Him about it in prayer, look for guidance in His Word, glean wisdom from faithful friends, and then be on the lookout for God's "yes" or "no" or "wait." He is the Beginning. He is the End. And He is every place worth going in between. 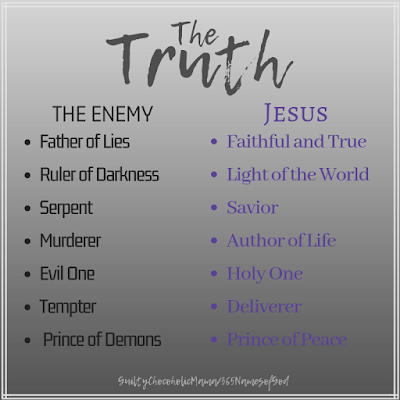 Jesus the Truth is the counterbalance for every lie the enemy weighs us down with. But Jesus doesn't just tip the scales so that they're even: He obliterates the scales entirely so that, when all is said and done, only justice and mercy and righteousness and goodness and love will carry any eternal weight at all. 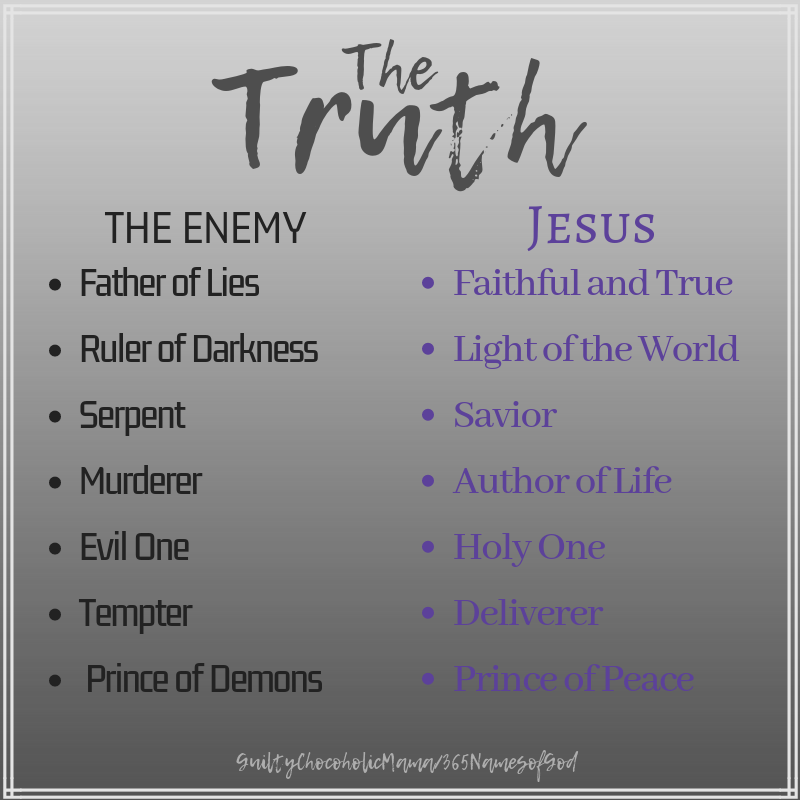 The enemy whispers lies, but Jesus declares the truth. The enemy lurks in darkness, but Jesus shines in light. The enemy deceives cunningly, but Jesus guides faithfully. The enemy brings death, but Jesus gives life. The enemy is evil, but Jesus is holy. The enemy tempts us, but Jesus delivers us. The enemy torments, but Jesus reigns in peace. In her study The Armor of God, author and Bible teacher Priscilla Shirer defines truth as "God's opinion on any matter." And American poet Carl Sandburg famously said, "A baby is God's opinion that the world should go on." More than 2,000 years ago, a baby named Truth was God's opinion that the world should be saved—and its scales tipped irrevocably in favor of grace. Two days before my wedding, I had a mini bridal-breakdown. Everything we had saved to do "just before the wedding" seemed like it had to be done that day. I was trying to savor every moment while simultaneously checking my to-do list obsessively. And the manager of the hall where we were holding our reception would not return my confirmation phone calls. To top it all off, my mom very understandably ran out of patience with me. In the midst of this pre-matrimonial meltdown, I hightailed it to the little bungalow where my husband was already living and into which I would move once we were married. My groom had taken the day off work and was (bless the Lord, oh my soul) home when I skidded into the driveway, burst into the house, and threw myself into his arms, mumbling incoherently about my wedding woes. My future husband held me tightly and said, "Shh...everything will be okay...I love you." And in that moment, he quieted me with his love. With his love...not with his words or with a solution to the problem, but with his calm presence and his reassurance about what really mattered: that he loved me. 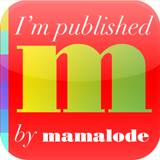 I'm glad that little incident happened, because it helps me get a grip on this gentle name of God. When God quiets us, it has less to do with an absence of noise and much more to do with the presence of peace. 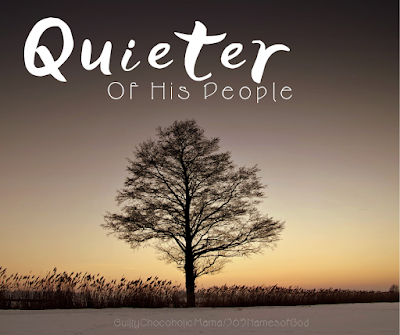 The Quieter of His People holds us steady and reassures us about what really matters: that He loves us. Next time you're feeling a little melt-downy, I hope you'll hightail it into the arms of the Quieter of His People, feel yourself being held, and hear Him gently whisper, "Shh...everything will be okay...I love you." Oh, dear friends, there's so much about this name I'm excited to share with you that I gave up trying to organize the pieces into coherent paragraphs and just decided to bullet-point them so you can see which ones hit you today. 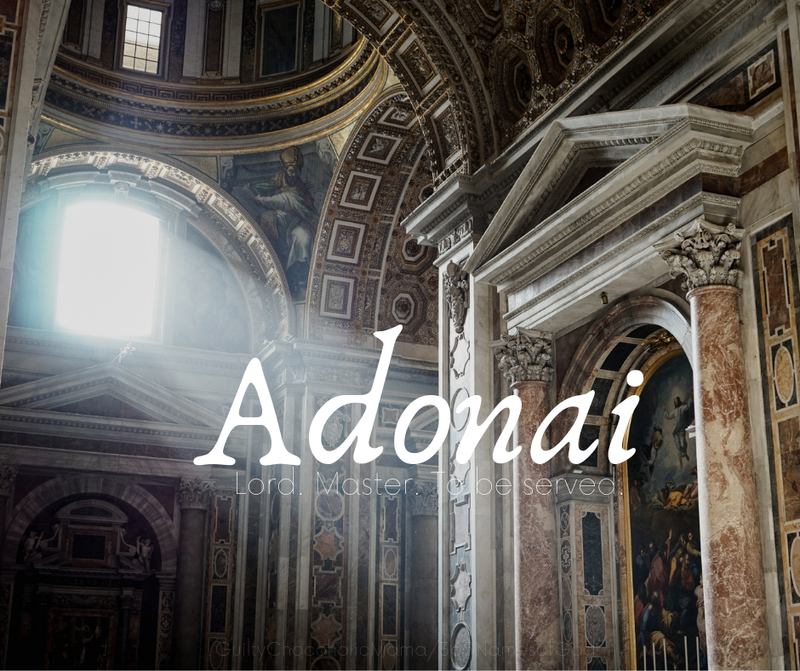 I chose the Complete Jewish Bible translation for this name's representative Scripture because I wanted you to see that Adonai is one of the specific Hebrew words usually translated "Lord" in our English versions. According to the New International Encyclopedia of Bible Words, "adon" is one of two Hebrew words translated "lord" in the Old Testament (the other being Yahweh). The basic word "adon" means "lord" in the sense of a superior, master, or owner and does not necessarily refer to God. But a special intensified plural form, "adonay," is found over three hundred times in the Old Testament and only refers to the one true God. Here's what strikes me about this: whereas "adon" can mean one human master or lord (lowercase "l,") the plural form "Adonai" represents the many attributes and titles of the Lord (uppercase "L"), Who alone deserves to be our Master. "Today you have seen the Egyptians, but you will never see them again!" I'm wondering if you've got something today you'd like to never see again? Regret over something that happened a long time ago? Shame that was born in the past but keeps living in the present? God is surely part of our past, and He brings conviction about it and healing for it. But if you sense God telling you, "Today you have seen ________, but you will never see it again," maybe this is the day to start claiming that victory. The NIRV translation of Moses' next directive to the Israelites in Exodus 14:14 reads, "The LORD will fight for you; just be still." Just. Be. Still. How on earth could God's chosen people "just be still" in the face of so much action against them? One possibility is that they could "just be still" because of the promise that came before: "You will see how the Lord will save you today." This is the promise that has already gone before us, too. Don't be afraid. Stand firm. You will see how the Lord will save you today. The LORD will fight for you. Just be still. Father of my hope and freedom. 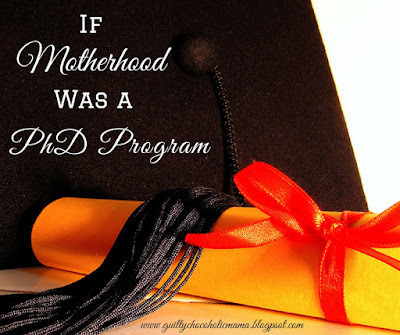 I was a junior in college before I ever flew on a plane or left the country. When I did, it was as part of a community choir that was scheduled to sing in churches around Germany. I first flew with my group (all strangers to me initially) out of tiny Indianapolis International Airport and into very un-tiny Chicago O'Hare International Airport. At that point, we had a sizable layover before our overseas flight, and I spent the first chunk of it wandering around the terminal, trying to figure out where I was and what I was supposed to be doing. In the midst of my wandering, a husband and wife who were also members of my group appeared at my elbow and, having sized up my situation with grace and compassion, asked simply, "Would you like to have lunch with us?" I can't recall ever having wanted anything more than I wanted to have lunch with those lovely people. They gently guided me along to a little cafe, engaged me in friendly conversation, and, along with several other new friends who remain friends to this day, looked after me for the rest of the trip without making me feel like I was being looked after. 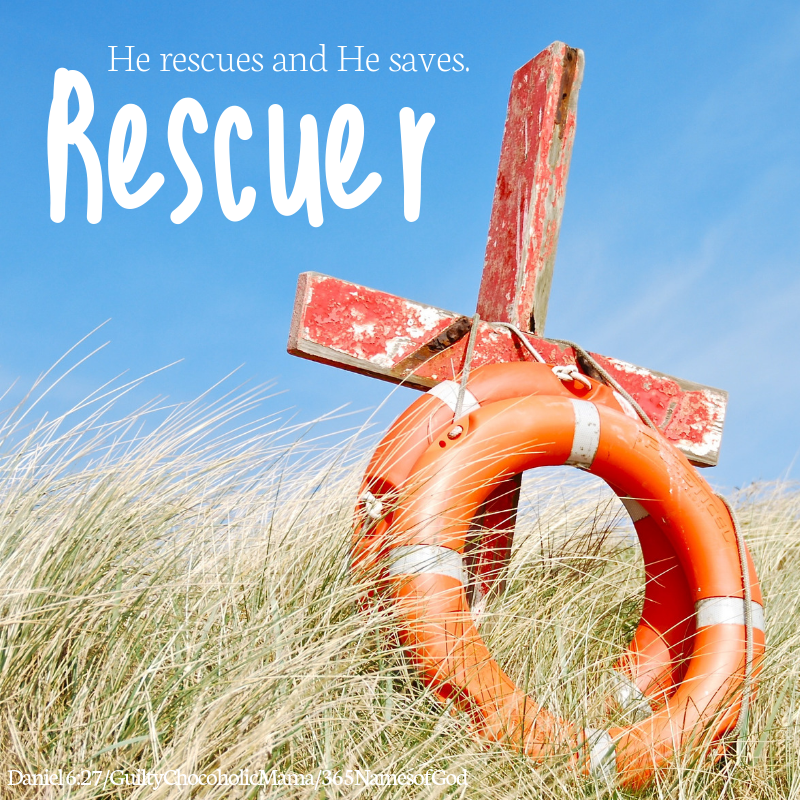 I usually think of a rescuer as someone who saves from death, and God surely does that. He rescues us from eternal death by offering eternal life. But sometimes, we need rescuing from life itself, when it gets lonely or confusing or bewildering. My friends gave me a glimpse of this kind of Rescuer that day, by graciously doing what He does. God our Rescuer sees our need. He comes alongside us. He steps in and offers help. He makes things easier. He relieves our anxiety. He takes us away from where we are to a place of greater security and comfort. 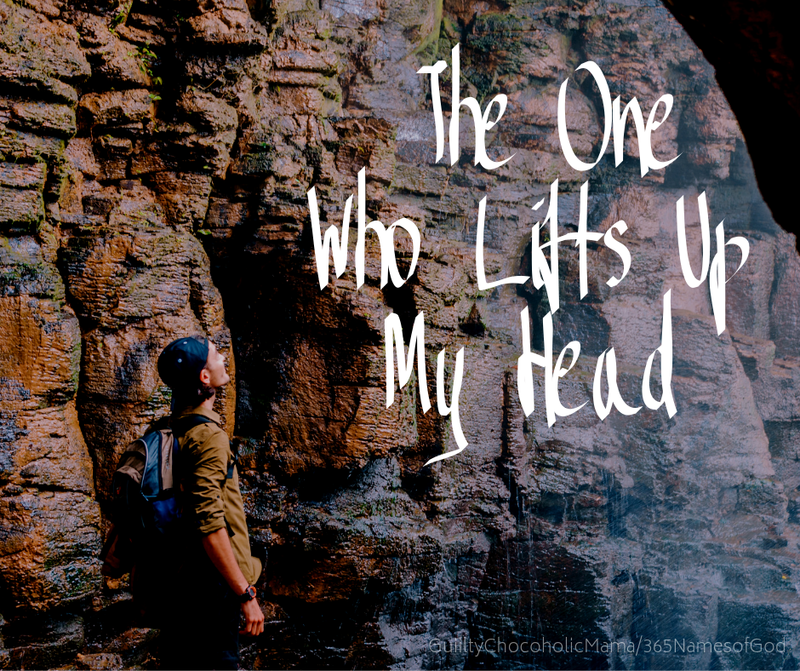 I'm indebted to another friend for helping me further understand this name of God: my dear "noggin" Kristen, who shared this song with me. As soon as she did, I knew "Rescuer" would be a stop on our NOG journey. He is friendship for the one the world ignores. Yes the Good Lord is the way, the truth, the life. We are free from sin forevermore. We will praise the Lord our rescuer. Today's verse is one of my older daughter's favorites. As a young adult daily forging a future with plenty of unknowns to it, I can see why she would be comforted by the reassurance that God's thoughts and ways and plans are higher than hers. One of my own "stands out in my memory" moments of understanding about this name of God is connected to my sweet girl as well. 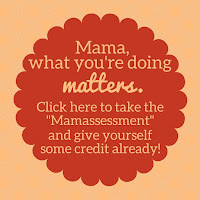 It happened at a time when my mom heart was hurting for her over a heartache she was experiencing. In the midst of that unsettledness, I sensed God speaking to my spirit: "There is joy set before you." It was as if God was giving me a veiled glimpse of a time in the future when my daughter and I would look back on that sorrow from a place of joy. And in that moment, God led me to a Rock higher than myself. Dear friends, don't miss the way we access this Rock: we are led to it. Led. We don't have to go searching for it. We don't have to blindly stumble our way up to it. We don't have to wander to it on our own. We only have to be willing to let ourselves be led to it. 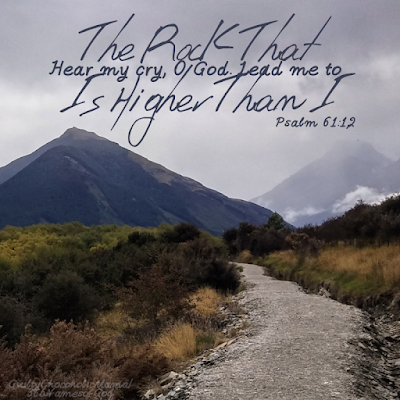 If you're mired in the mud of fear today or feel as though you're drowning in anxiety, I pray you'll let yourself be led...to and by the Rock that is higher than you. Our study of God's great names has already revealed Him to us several times in a military or battle-oriented capacity: Shield, Glorious Sword, Fortress. Today, we see Him in a legal light. Our Advocate presents our case. He speaks on our behalf. He says what we do not know how to say or what we don't know we should say in the first place. 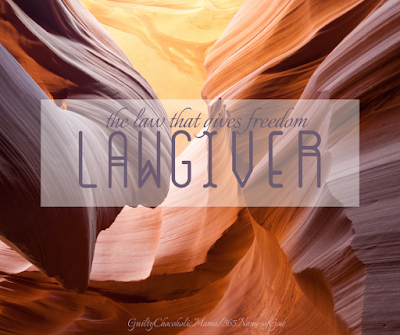 He has the legal standing required to gain the court's attention. But how I also love the other side to this name of God as presented by Job—a man who very much needed an advocate after everyone he might have expected to fill the role abandoned him or was allowed to be taken from him. Job declares his confidence in an advocate who is not only exalted above Job's own lowly standing and who stands in the gap on his behalf but who is a friend, pleading Job's cause. 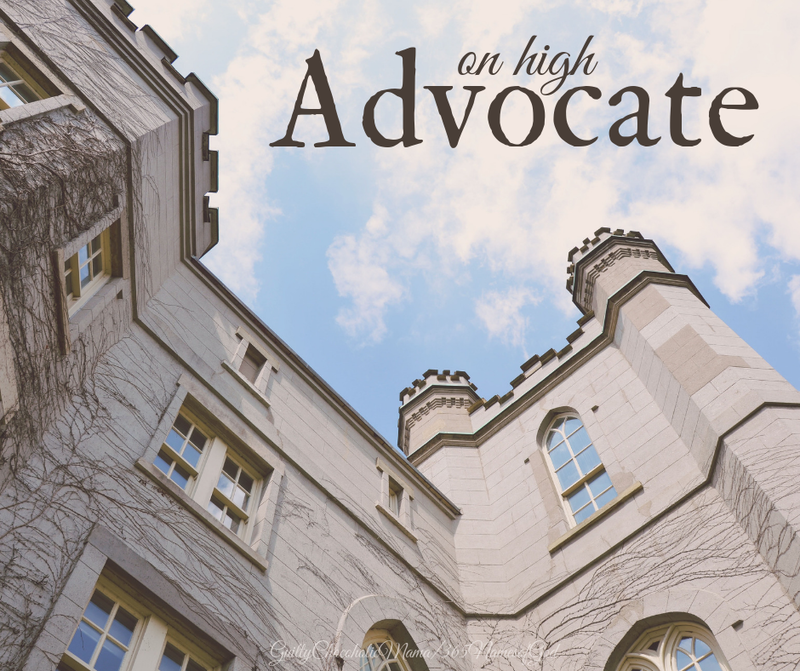 This Advocate is no mere hired legal representative, dispassionately doing a job; no, this Advocate speaks on Job's behalf with all the emotion and fervor of someone connected to Job on a heart level. *He vouches for us (ASV). *He supports our cause (BBE). *He testifies for us (ESV). *He stands up for us and takes our side (GNT). *He knows the truth about us and is an attorney who can clear our names (MSG). And finally, from the King James Version, He is our record. Oh, don't miss this: He IS our record. Our Advocate does not merely present our blemished record: He replaces it entirely with His innocent, sinless self. This is the active pity of God on display! He cares about our case with the compassion of a friend, but He is able to do something about it with the power of the Almighty. I've been putting off introducing this name of God for the simple reason that I don't think any of us has to look very far in our lives to see examples that cause us to question God's role as Healer. If He can heal—and indeed, He can—why doesn't He? Why do we not hear more accounts of miraculous physical healing, as seemed to be more prevalent in ancient times? I must note here that I absolutely believe God is still in the miracle business. But a quick look back at where we've been on our NOG journey may offer a little insight into this question. Earlier, we looked at the Old and New Testaments as a story in two parts: before Jesus' incarnate (in the flesh, so to speak) arrival on earth and after it. In addition to representing the Old Promise and New Promise and the Old Law and New Law, God's Word also tells the story of the Old Tabernacle and the New Tabernacle. (I promise this relates to God as our Healer...hang in there with me.) Both are considered God's dwelling places, but the Old Tabernacle was a physical building built according to very exacting specifications. The New Tabernacle—the New Temple—though, is us: our souls, in particular...the part of us that is eternal. Because our souls are the new temple, God is always about the business of building and ensuring their integrity, strength, fitness, and completion. It's not that He doesn't care about or heal our physical bodies (they are referred to as part of the new temple as well); it's just that the the Old Covenant, with all its rules and regulations, was meant to produce internal holiness by way of external actions. The New Covenant, on the other hand, calls us to be transformed first on the inside via faith in The Way so that our actions on the outside can reflect His holiness. I'll say it again: God is still in the healing business. I believe He still physically heals bodies. But He is full-on consumed with bigger healing than that, even: the healing of hearts and relationships and things that will endure long after our earthly bodies have served their temporary purpose. 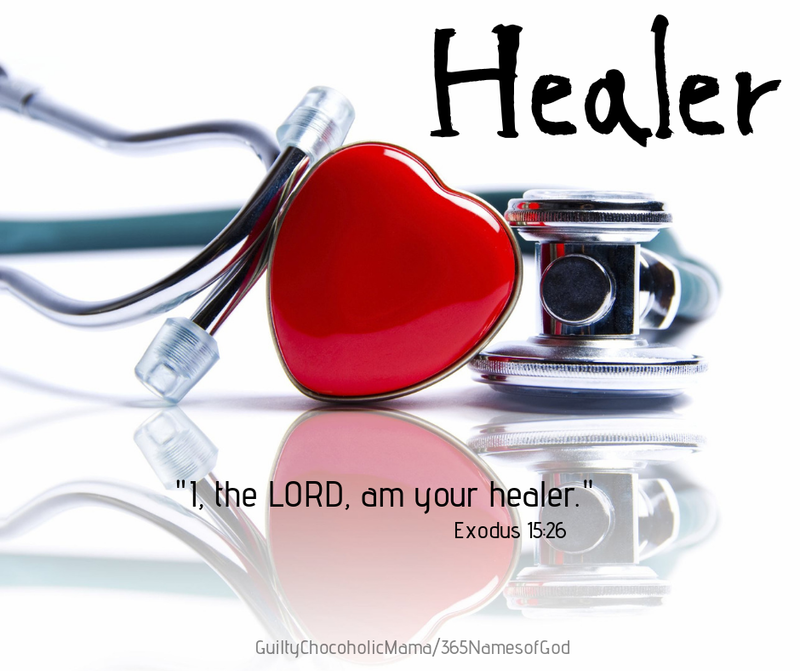 To borrow from and redirect the King James Version of Exodus 15:26: "You are the Lord that healeth me." 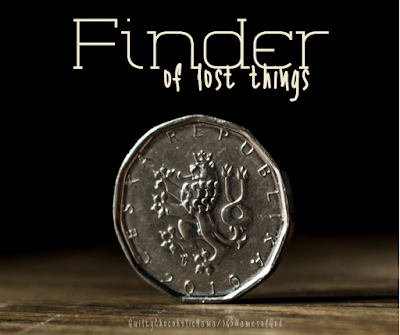 God is the Finder of lost things. More to the point, He is the Finder of lost people. It is not as if He does not know where they are. He is omniscient and omnipresent and knows all and sees all. When He comes looking for us, it is to make us aware of our own lostness. God has such a furious longing for deep personal relationship with each one of us that He pursues us over and over again and comes to us where we are and calls us to look for Him and to find Him. If you're feeling lost today, how I pray you know that the Finder of lost things is looking for you! Whomever He has already found, He will never be satisfied as long as you are still missing. When He finds you, it is as if He is the housewife who has just found her lost coin. And oh, the rejoicing. You find me, You find me. Over and over again, Your love and Your mercy begin. No matter how far, You find me where I am. 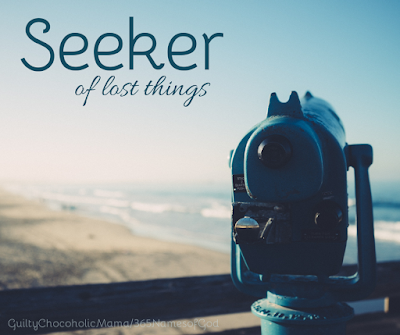 God is the Seeker of lost things. More specifically, He is the Seeker of lost people. Glad though He is about all who are safely in His care and keeping, He will not rest as long as one is missing. Sweet friends, if you are lost—whatever "lost" might look like for you right now—know this: the Seeker is looking for you. Songs communicate truth in a way that nothing else can quite match. They tell of passions, hopes, hurts, and joys. When they are anthems, they declare what we believe in and who has our loyalty. 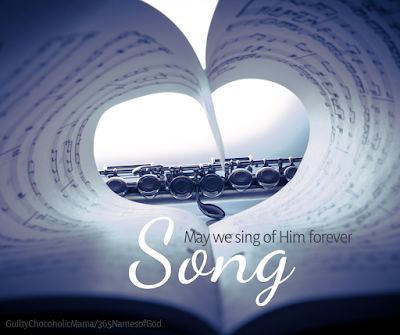 When God is our song, we sing of His goodness, majesty, and love. We declare, with words and melodies, that He has our allegiance. God gives us a song to sing, but no one has to give Him one, because He is the song. He is everything eternal there is to sing about. He is the Singer. He is the Song. Be unto Your name, be unto Your name." I sang to my husband at our wedding and to my babies in the deepest hours of their newborn nights. 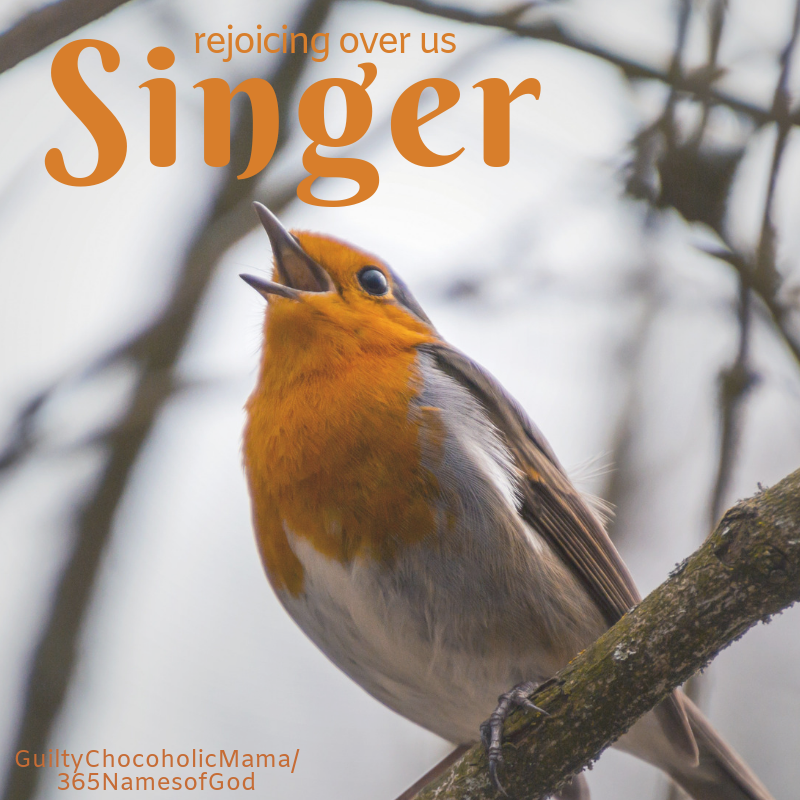 I picture God as our heavenly parent, singing to us, too...singing love and comfort and tenderness and blessing over us while He holds us close to His great heart. He is a God who sings. He is a God who saves. "Savior, He can move the mountains. My God is mighty to save, He is mighty to save." As a piece of armor, a sword is an offensive weapon: it does damage, it initiates action against the enemy, it inflicts harm, it wounds. It works in conjunction with defensive pieces of armor, which fend off actions by the enemy. Both kinds of weapons are crucial to victory. Our Glorious Sword goes on the offensive for us. He fights for us. He does righteous damage on our behalf. He goes into battle for us. But through the power of the Holy Spirit, He also puts Himself as our Sword into our spiritual hands via the sword of the Spirit...the one specifically offensive piece of the armor of God (Ephesians 6). With this sword, we can pierce the enemy. This sword, the word of God, offends the enemy like nothing else. 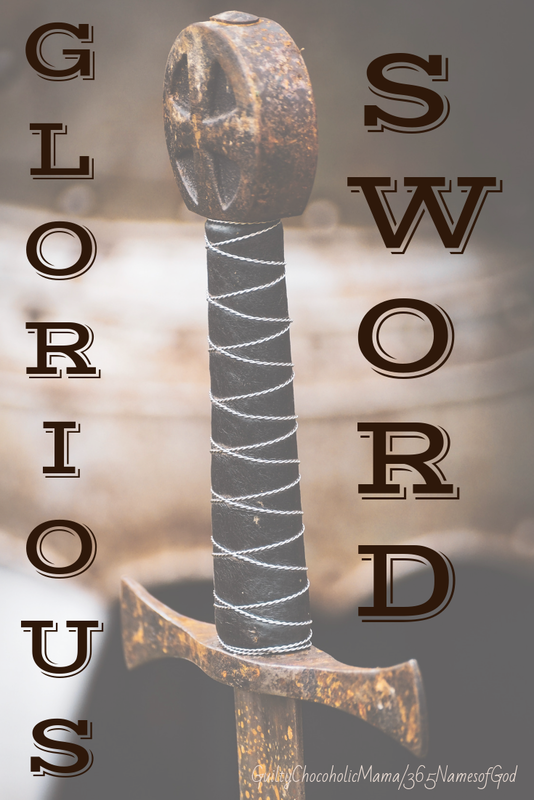 If you're looking for some "offensive" pieces of Scripture to use as weapons as you cooperate with your Glorious Sword to fight against the enemy, here are a few of my favorites. I like to keep these short and to the point, both because the sword is pointy and because I need to be able to recall them quickly in the heat of battle. And, finally, to paraphrase and personalize today's main verse: "Who is like you, a person saved by the Lord? 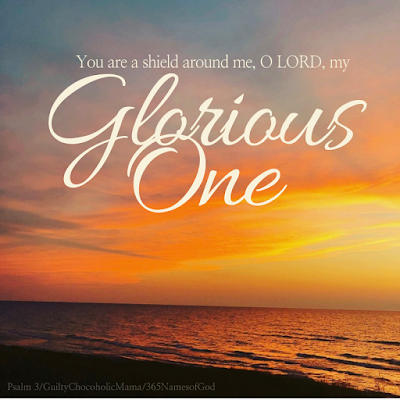 He is your shield and helper and your glorious sword. Your enemies will cower before you, and you will tread on their heights." Take THAT into battle today. 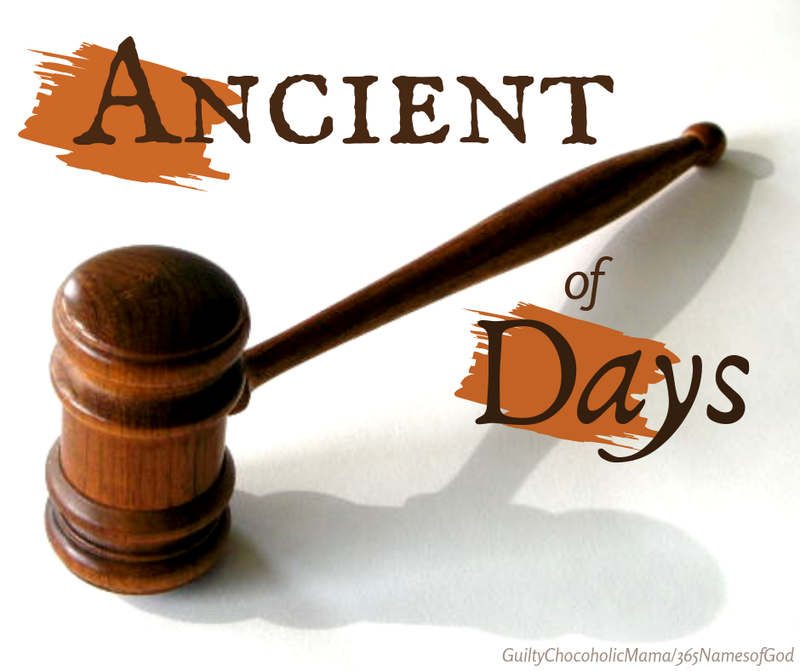 Too, God's Word is the story of the Old Law and New Law. One characteristic of God Himself and one of his objectives for us is holiness: being set apart. God is set apart from everything by the very nature of His "otherness" and perfection. He calls us to be set apart for Him...for His purposes and plans. Under the old covenant, holiness was attempted via an extensive set of laws. These rules regulated outward behavior in an effort to produce inward holiness. In endeavoring to follow these laws, God's chosen people were supposed to remember a hundred times a day—every time they put on their clothes or ate a meal or found a spot of mildew (I'm not making this up...see Leviticus 13, "Regulations About Mildew")—that they were set apart. 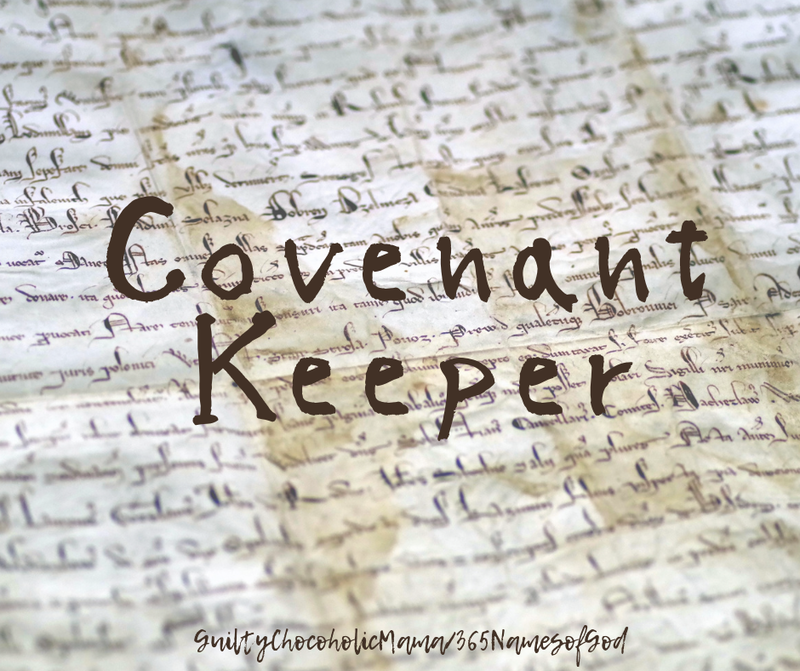 My understanding of a covenant is that it is a promise that goes both ways. In a marriage covenant, for example, a husband promises to love, honor, and cherish his wife, and his wife promises to love, honor, and cherish him back. Of course, covenants between fallible humans are broken all the time. Consider a child who begs his parents for a puppy: they promise to get him one, and the child promises to take care of it. Six months later (if it takes that long), the (ahem) mom is doing all the canine care, and the covenant has been broken. But our infallible God never breaks His covenant. In fact, the entire story of the Bible is a story of promises kept, told in two parts: before Christ's birth in human form, and after Christ's arrival on earth. The Old Covenant and the New Covenant. The Old Promise and the New Promise. The Old Temple and the New Temple. The Old Law and the New Law. But the same one true God! 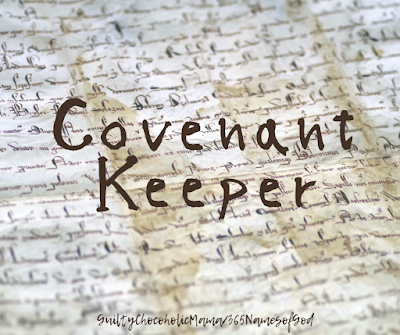 The same Covenant Keeper. Because He is a big, for-all-time God, He keeps His covenant of love for a thousand generations. And because He is a personal, for-this-day God, He also keeps it between Himself and each member of those generations who trusts in Him, including between Himself and you and between Himself and me. It bears repeating (you might even want to memorize this): "Know this: God, your God, is God indeed, a God you can depend upon." If you've studied God's hyphenated Hebrew names in the past, you may be more familiar with today's name as "Jehovah-Jireh." Because we'll encounter this seeming disparity going forward on our journey, I thought today would be a good day to try to clarify. In the ancient Hebrew language of the Old Testament, which did not have vowels in its alphabet, the word that appears as "LORD" in our translations is transliterated as "YHWH" or, sometimes, as "JHVH." Another Hebrew word translated "Lord," "adonay," is also found over three hundred times in the Old Testament. Richards writes that "the pronunciation of 'YHWH' is not certain. But the common pronunciation, Jehovah, was surely not used in ancient times. The transcribers of the Hebrew Old Testament in the twelfth century believed the divine name too holy to pronounce. They added the 'o' and 'a' from 'adonay' to the four Hebrew consonants, and when they read the Hebrew aloud said 'adonay' in its place. It seems most likely that the original pronunciation is approximated in Yahweh" (New International Encyclopedia of Bible Words, page 416). Both Jehovah and Yahweh mean "Lord." When another name or title is added, as in "Jireh," his personal, revealed name is amplified with a particular aspect of His lordship. This may be entirely missing the mark, but I usually think of Yahweh as God's proper first name and anything attached to it as His middle name. 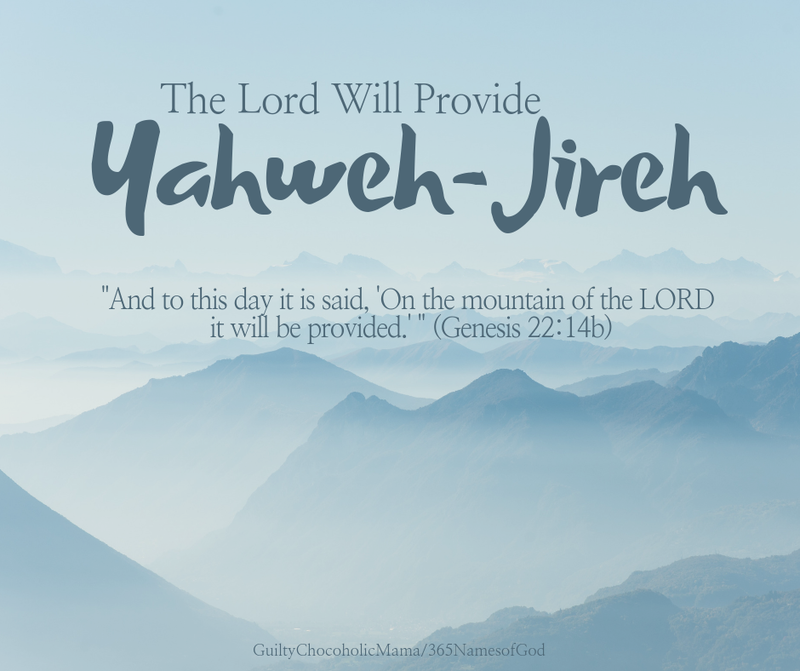 Now, dear NOG friends, if all this has your head spinning or if this whole Hebrew pronunciation bit isn't your thing, go ahead and just press into this beautiful reality: The Lord Will Provide. Abraham delighted in the truth of this when God provided a sacrifice to take the place of his beloved son. God demonstrated the truth of it when He provided the ultimate sacrifice of His own beloved son. And we can depend on the truth of it today, whatever sacrifice God is calling us to make. The Lord has provided. The Lord Will Provide. "Someone's head may be down because of shame, loss of hope, failure, disappointment, cares of the world, feeling undeserving, weariness, fear, or distraction. God lifts our head, raises our eyes to a new perspective. 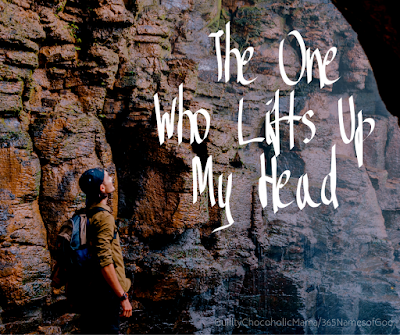 When God lifts our head, our eyes are raised to see His love, to see Him at work, to see beyond our circumstances. I have a picture in my mind of a king holding court in an Eastern country of long ago. One of his subjects coming to seek his help casts his or her eyes (and perhaps body) down before him. Perhaps the king, in showing his favor, entreats the subject to lift his or her head. The subject is approved, has been shown the honor of the king's compassion. I also picture a little boy or girl standing before a parent, knowing the wrong he or she has done and waiting with head downcast to hear what the parent will say. Then the parent reaches out and gently lifts that boy or girl's face and deals with that child in grace and love. There's something amazing and wonderful about being able to look up and into the face of God (figuratively) and to sense God's smile and to know that God's got this!" I know You're in control. I grew up in church (a huge blessing...thanks, Mom and Dad! ), so words and phrases like "glory" and "give God glory" and "glorify" were common pieces of my faith vocabulary that I used but didn't think very much about. It wasn't until I started doing some worship leading at church that I realized I had no idea what "glory" and its friends—including "glorious"—actually meant. Here again, I must give credit to God and to in-depth women's Bible study for taking me places I'd never been before. Where "glory" is concerned, a single page in my workbook from Beth Moore's Breaking Free study is marked up, starred, underlined, bracketed, and exclamation-pointed to excess, because on that page, I got ahold of the very beginnings of understanding about God's glory. "Very beginnings" is worth noting, because God's glory is something I am only starting to scratch the surface of, both in my personal understanding and in weaving it into our names of God journey. Today, I pray, will be just the first of several days over the next 11 months when we dig into what God's glory is and what it means to glorify him. My own vastly condensed and (over) simplified definition of God's glory is that it is Who He is. It is His revealed character. It is His essence and nature and presence and power. To see God's glory is to truly see who and how He is. To glorify Him means to acknowledge and show who and how He is. To give Him glory means to honor and draw attention to who and how He is. And when we think of who and how God is—a list of superlatives we could put together for the next 325 days and still find utterly lacking—what conclusion can we draw other than this: He is Glorious. Oh, how we wait for this, don't we? We long for unpunished evil to cower in the face of righteous wrath. We imagine we know what we would do if the power to make things right was in our hands (setting aside, for the moment, our own guilty records). But because the Ancient of Days is also the Lover of every soul, He alone is able to flawlessly merge justice and grace. He alone is able to make all things right without making anything else wrong. With eyes of faith, I need to see the Ancient of Days seated on His throne. I need to trust His authority and wisdom. And with only the faintest shadow of an understanding of how honorable He is, I need to bow low and let Him be lifted high. Yesterday, we started a mini (three-part) series based on three names of God found within the lovely anthem "O Worship The King." 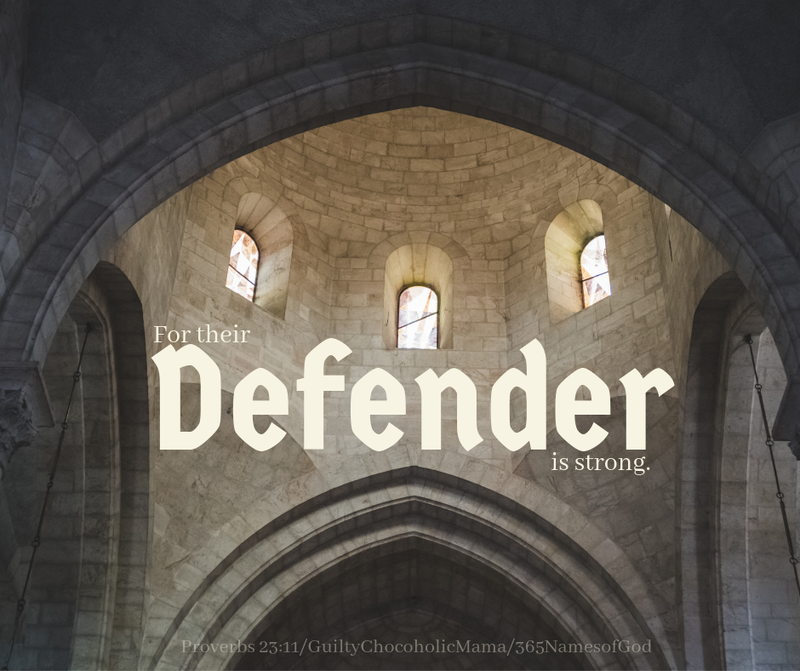 Today, I have to credit the power of love for helping me understand this particular name of God and, specifically, the difference between offense and defense. I didn't grow up in a sports-centric family. I'd never even seen a football game until a high school boyfriend asked me to watch the Rose Bowl with him one year. A music lover my whole life, I joked with my choir friends that I was going to marry a baritone...someone who could swing to either tenor or bass, depending on what I needed when we did duets together. They joked back that I would probably marry a football player. I didn't, but I did marry a college football fan(atic) and, as proof that love changes us, have come to the point where, the other night when I was watching a bowl game with my husband, I asked him who had the ball and then was able to say, "Oh, never mind…I see the possession arrow." After he picked himself up off the floor, my "coach" was suitably impressed. ALL of which is just to say that when I asked my husband how he would define the difference between offense and defense, he said, "Defense is preventative, while offense is proactive." As far as sport is concerned, the offense is trying to score, while the defense is trying to stop them from scoring. 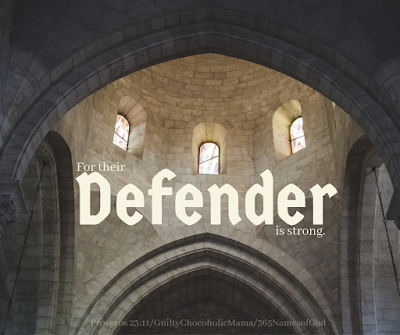 Of course, God our Defender is not limited by definitions or by our finite understanding of how He operates. But in His role as our Defender, He does protect us from attacks by our opponent. He does stop our foes. He does wrest victory from the hands of our enemy and hand it over to us as part of his team. No wonder we worship this King. I'm so grateful to have gained a new understanding of this name of God when I took part in a Bible study on the armor of God. My study sisters and I learned that, in ancient times, when opposition forces attacked an army with arrows, the enemy's hope at that point was not to kill with those arrows but to distract so that a subsequent mortal blow could be inflicted by other means. The soldiers under attack would divert their attention to those arrows, making them vulnerable to a lethal blow. But if they huddled together in what was called a turtle formation and raised their shields, those arrows could be deflected, and the troops would be saved for further fighting. Faith in God our Shield preserves us for the fight, too. There are real battles to be won: battles for our marriages, battles for our friendships, battles for our children's minds and hearts. The enemy wants us to be so distracted by lesser things that we are rendered weak or worse for the battles that really matter. Be aware and alert, dear noggins. 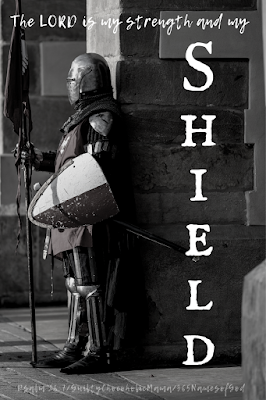 Then raise your Shield and fight today's good fight. When I was in college, I took a required class called "Biblical Applications for Human Experience." I think the long course name was a way for my alma mater to justify charging us $200 a credit hour to essentially learn how to study the Bible. In spite of this inflation, it was a great class, and pieces of it have stuck with me all these years. We spent an entire semester clawing our way through the book of James, exploring every high and low and every tiny word I would normally have considered insignificant. Even now, James remains the most marked-up book in the Bible I've had the longest. Today's verse from James 1 is one of my favorites. I love the contrast between shifting shadows and the Father of Lights. Shifting shadows confuse; the Father of Lights clarifies. Shifting shadows distort; the Father of Lights defines. 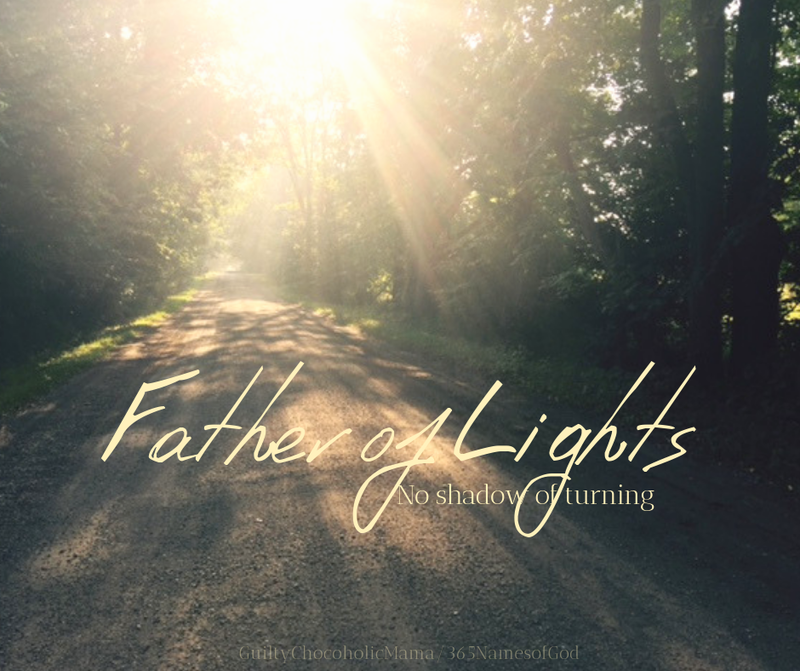 Shifting shadows lie to us; the Father of Lights leads us in truth. Shifting shadows fade; the Father of Lights is faithful. Walk in the light today, sweet friends. Walk with the Light.